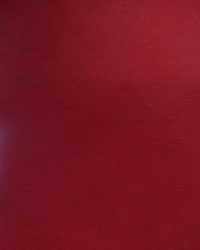 This 9 ft. 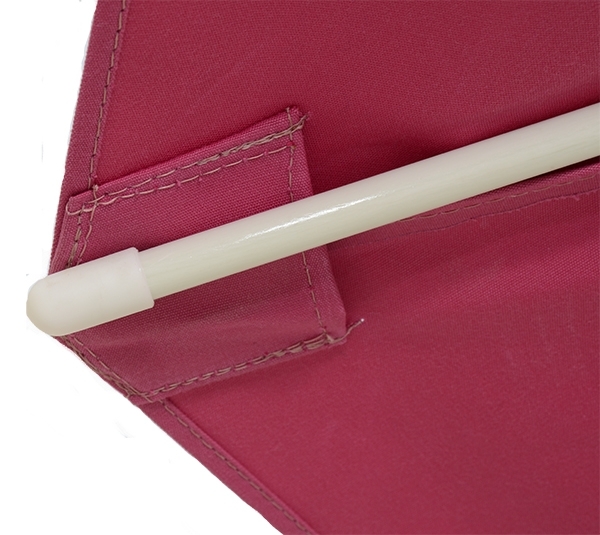 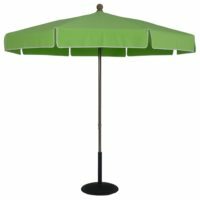 Logo Market Umbrella w/ Double Pulley features fiberglass ribs, umbrella has 12 mm fiberglass ribs and a 2 mm thick center pole which is 1 ½” in diameter, and it does not tilt. 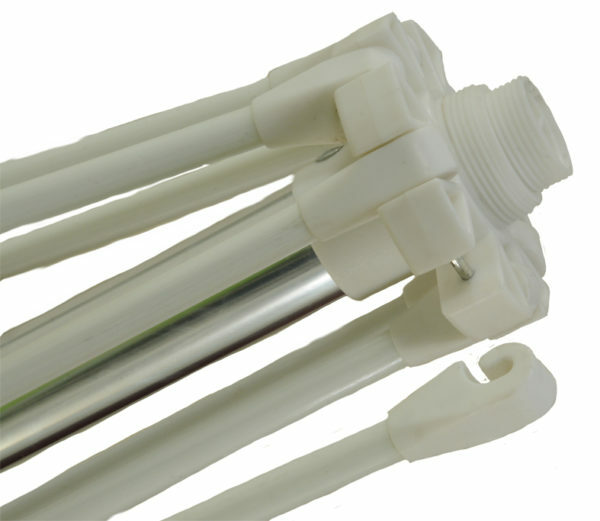 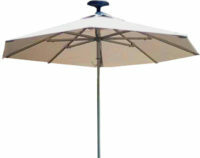 An optional bar height bottom pole is also available at an additional cost. 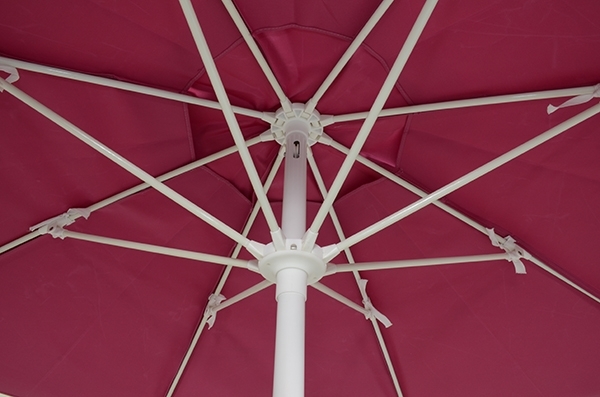 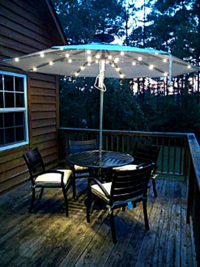 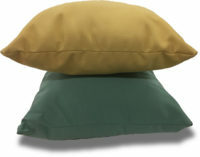 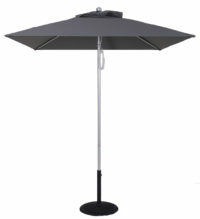 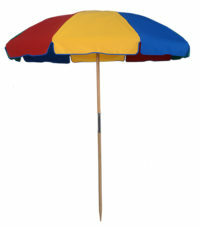 This umbrella is great for any commercial or residential use.